Even if you feel young and vibrant at heart, there are certain things that just give your age away—or worse, make you look much older than you really are. Because the neck has such delicate, fragile skin, it’s often one of the first areas affected by aging; from sagging skin, heavy bands, and deep wrinkles, we can develop a myriad of blemishes and flaws on the neck that are much too difficult to hide. The STC Plasma Neck Lift combines plasma technology and liposuction to help sculpt and lift the neck. By sculpting the neck and removing excess fat, the STC Plasma Neck Lift can create a more chiseled, sleeker profile as well as lift sagging skin. Regardless of how advanced the STC Plasma Neck Lift is, what really matters is the man behind your treatment: Dr. Machida. 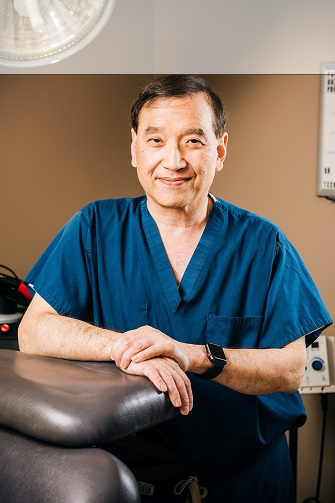 Dr. Machida is a renowned plastic surgeon who specializes in facial procedures, and over his illustrious career he’s performed thousands of facial surgical procedures. With his immense understanding of facial aesthetics and his skill with treatments like the minimally invasive non-surgical neck lift, Dr. Machida is the true key to helping you achieve remarkable, natural-looking results. We’ve moved on from CO2 and light energy: the STC Plasma Neck Lift offers a minimally invasive neck lift by using advanced plasma technology. Plasma is essentially electrically-charged gas, and our minimally invasive neck lift uses plasma to “coagulate” the dermis without burning it. That way, certain tissues in the skin can be tightened without harming the surrounding tissues on the neck. Once the tissues have been treated, the body reacts to the “wound” by triggering the skin’s healing mechanisms. Collagen and elastin stores strengthen, the skin starts to grow newer, fresher skin cells, and the new skin gradually begins to lift and tighten into a smoother, younger form. Patients should see an immediate improvement after the procedure, but they should also see gradual improvement as the body heals. 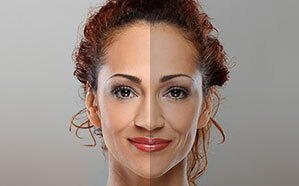 Other non-surgical surfacing systems used laser or light to generate heat up to 800C, but this often meant the skin was always at risk of being burned. On the other hand, plasma technology can produce the same results while only reaching 75% heat than other lasers, and the cold helium gas can actually cool down and protect the surrounding tissue. The STC Plasma Neck Lift can be combined with liposuction in place of Smart Lipo, a form of liposuction that uses laser energy to break up the fat before it’s removed. All in all, our minimally invasive neck lift results in a more comfortable treatment, a milder recovery, and minimal downtime. The STC Plasma Neck Lift is a minimally invasive non-surgical neck lift, so patients will be able to go home the same day as their procedure. To help patients with any discomfort, Dr. Machida will administer local anesthesia before the STC Plasma Neck Lift. If the patient is having pockets of fat extracted from under the chin, small incisions will be made behind the ears and under the chin. The liposuction then gets to work by gently removing pockets of fat around the neck. The STC Plasma Neck Lift probe is then inserted subdermally (under the skin) so that the plasma energy can contract the tissues. When the plasma energy is absorbed by the tissues, it stimulates collagen production, leading to a natural lifting and tightening effect. Patients should only have a downtime that lasts a few days—much faster than a traditional facelift. Over the next coming weeks, patients should see a gradually tighter, smoother neck. Tired of hiding a neck that’s aged faster than you have? Schedule a consultation with Second to Creation to see if the STC Plasma Neck Lift is right for you.